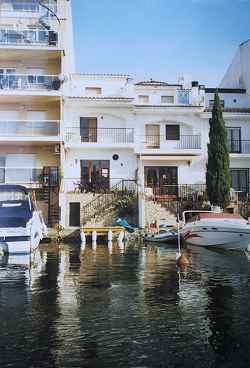 Welcome to a house to rent in the New Little Venice of Spain! 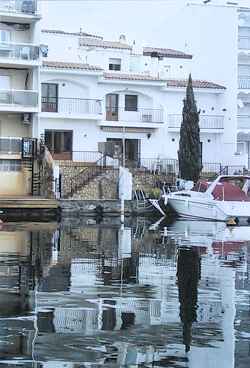 is the largest residential marina in Europe with 25 miles of navigable canals and 5000 public and private moorings. 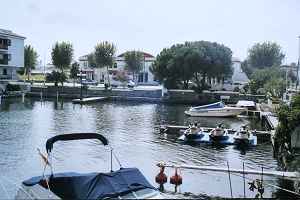 Many of the properties have private access to their boat moorings enabling people to moor their boats at the bottom of their garden. The long sandy beach is safe for children with plenty of room even during the height of the summer. 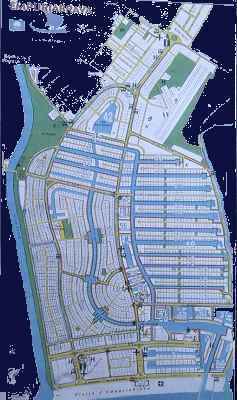 include shops, bars, restaurants, yacht club, boat yards and chandlers. golf and mini - golf. There is an airstrip with a flying and parachuting school. The nearest ski resort is only one and a half hours drive away. 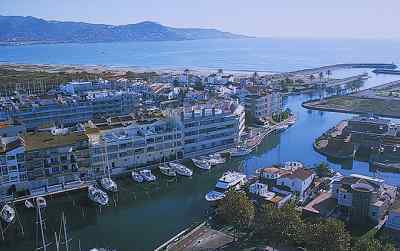 Empuriabrava is within one days drive of channel ports. 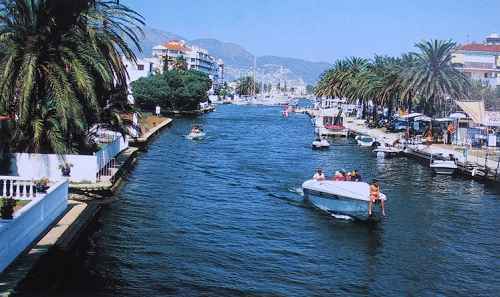 It is the largest inhabited marina in the world, with access from the boat mooring to open sea into the Bay of Roses within 15 minutes. 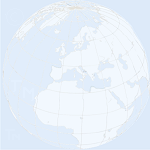 Alternatively if some members of the family wish to fly to Perpignon or Girona airports these are within easy reach. 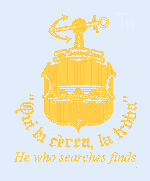 Perelada Golf Club, just a 10 mins drive from the Bay of Roses, is a magnificent 18 hole golf course situated beside the medieval village of Perelada. This beautiful village has a fully restored castle and gardens that are the home for a casino, restaurant and during the summer, open air concerts. 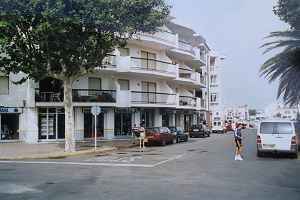 The village is also famous for its bodegas producing excellent wines and 'cava'. Castillian design properties are being constructed in and around the golf course. 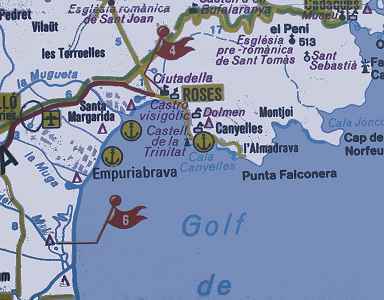 Torremirona Golf Club is a superb 18 hole golf course with breathtaking views across out Alt Emporda and the Pyrenees. 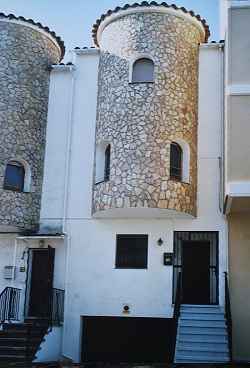 Situated North of Figueres, a quaint town famous for its Salvador Dali Museum, shops and cuisine, it is approximately a 25 mins drive from the Bay of Roses. Properties are being constructed around the golf course.